My obsession all started from multiple conversations I had with our Baum-kuchen customers. 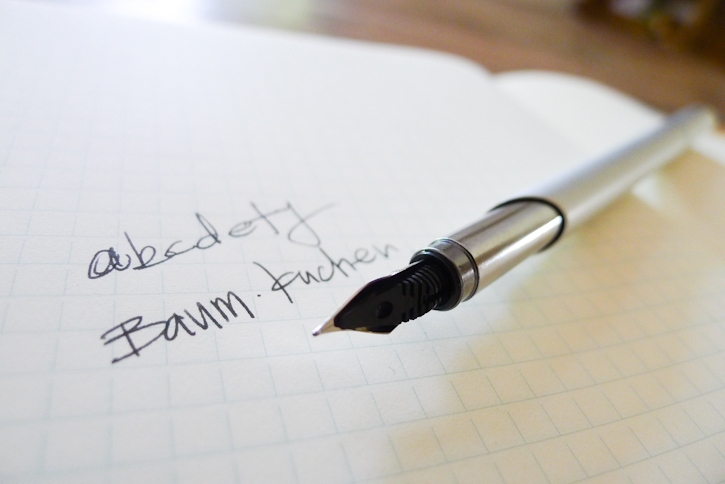 I've always been passionate about paper products... but never realize that there was a whole another "pen world" that was so deep and interesting... until I noticed that a lot of customers who purchased items like Traveler's Notebook were really interested in using these notebooks conjunction to their fountain pens. 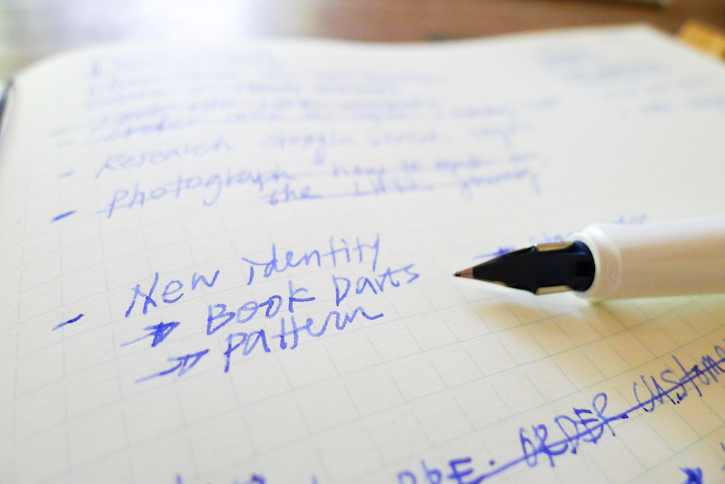 Even though our business resides online, I write and draw a lot on papers (maybe it's my excuse to use some of my favorite paper products) so I knew adding fountain pens to my personal collection of stationery will be a nice step... and they make a great photo shoot prop for notebooks, right?? Based on some of the recommendation and feedback I received from my sweet customers, I headed out to local Kinokuniya to try out few pens. 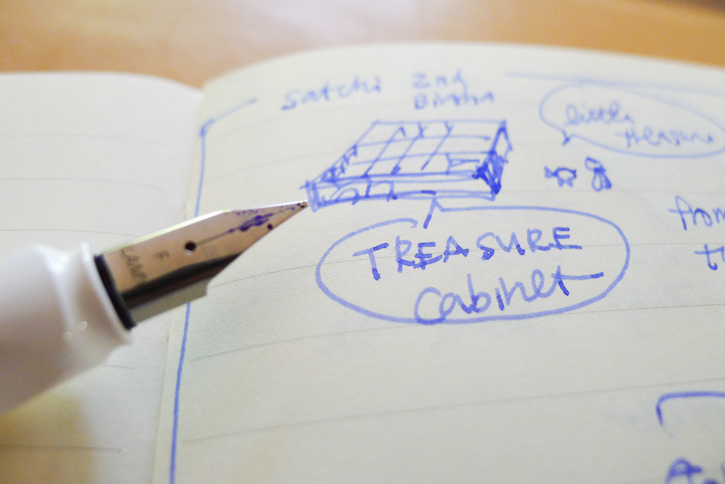 I really liked the idea that you have to feel the pen to see if it is the right fit for you! I did try all the pens they had and the time and effort was totally worth it. 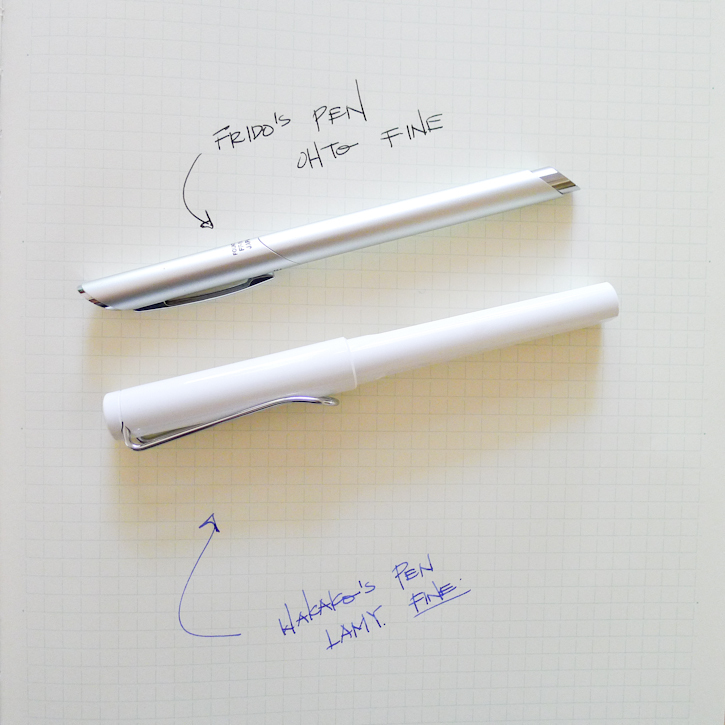 Since this was my very first pen, I was looking for something affordable, good design and quality... and of course I got Frido to try bunch and convinced that he also needed his own! So below is what we came home with! 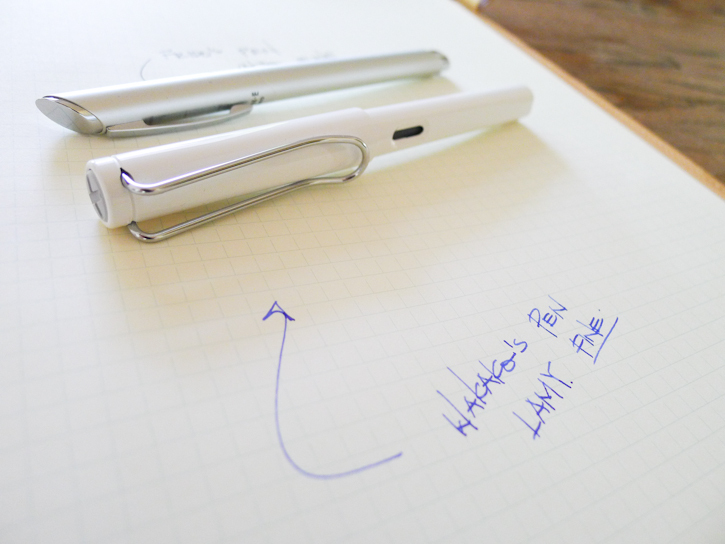 Mine is LAMY Safari White with fine nib... and his is OHTO Fine pen (comes with a medium nib). I think it's so funny that I picked a German pen and he picked a Japanese one. I am over the moon with this pen:) Ever since I came home from the bookstore, I have been writing more than I ever did in a while. It has been inspiring to let the idea flow with the ink. Is it just me or my writing looks better somehow when I write with this pen??? My friend thought I was crazy that I am using my pen to make a to-do list but yes... I enjoy making my to-do list with the special pen... and doodle, journal and just write random things on my notebook. So far I have been using my pen with MD Notebook (grid) as well as my Traveler's Notebook grid refill and LIFE Co. notebook (also recommended by my customer). 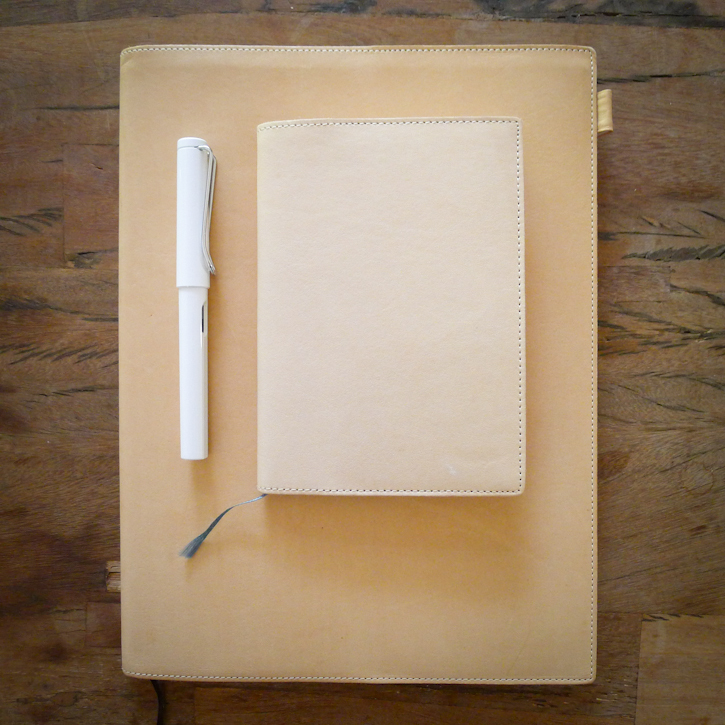 It feels that LIFE Co. Notebook is actually the most smooth paper to write with... so now I am wondering if I need to add these notebooks to our shop? I suppose my paper obsession... will never end. Ready to get creative? 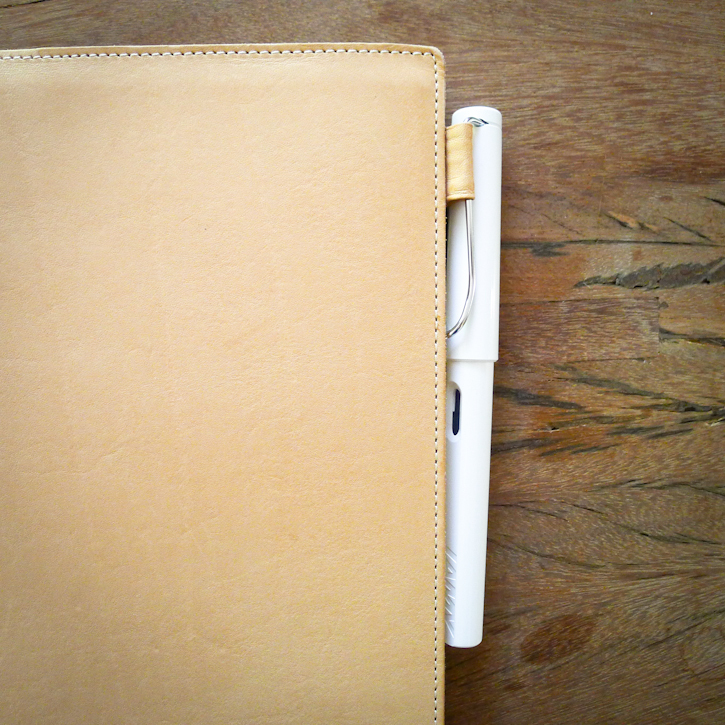 MIDORI Spiral Notebook! Add colors to your spring! Little Tokyo & Art District exploration!